The Burren in County Clare on Ireland's west coast is a most enigmatic landscape - a unique mixture of fertile and barren, wild and domestic, visible and invisible. Stunningly beautiful but threatened, it captivates and perplexes and is of inordinate cultural significance. As poet Michael Longley wrote: 'we owe the place respect, courtesy, reverence'. 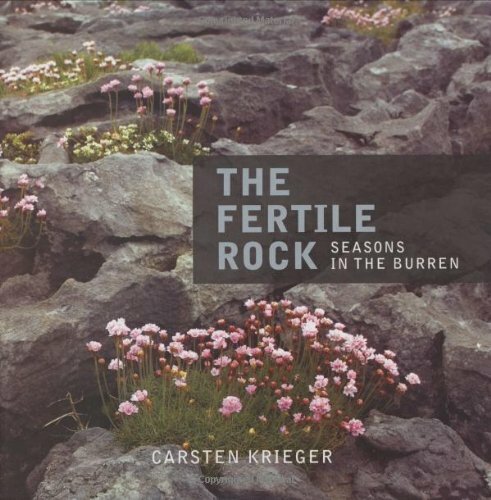 This book takes you on a visual journey through and around the Burren during the four seasons. Conveying the serene beauty and unique aura of this ancient landscape the pictures, images of stunning natural beauty, tell their own story: the changing face of the Burren from season to season, the rich flora and diverse fauna, important heritage sites, small details of stone, and wider panoramic views of the landscape. While photos play a key role expressing the visual impact of the Burren, this is more than another photo book, it is a celebration of the place. For almost three years Carsten Krieger spent an average of 3 days per week on this project. It became a central part of his life: waiting for the perfect light, for the wind to die down, for the creatures of the Burren to come into the open, discovering the most beautiful and magical places, drinking tea with the people of the Burren. The result: he delivers the essence of his subject in a manner sympathetic to the everchanging panorama of weather, tone and light found in that rich landscape.